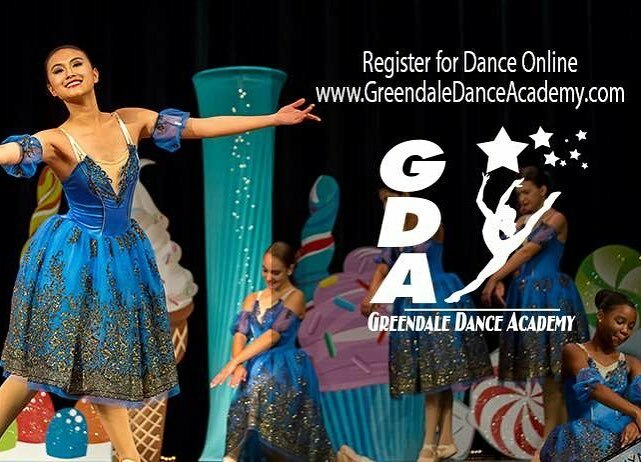 Register for Dance starting July 30th online. 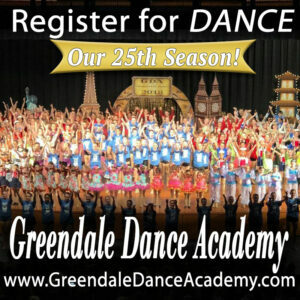 It’s our 25th SEASON!! Class schedule has been updated. Just ask, we are here to help. Open House: Wednesday August 22 4pm-7pm and Thursday August 30 4pm-7pm. Dancer’s Boutique of Fitchburg will be at the studio with Leotards, Tights, Professional fittings for dance shoes and lots of fun dance accessories. 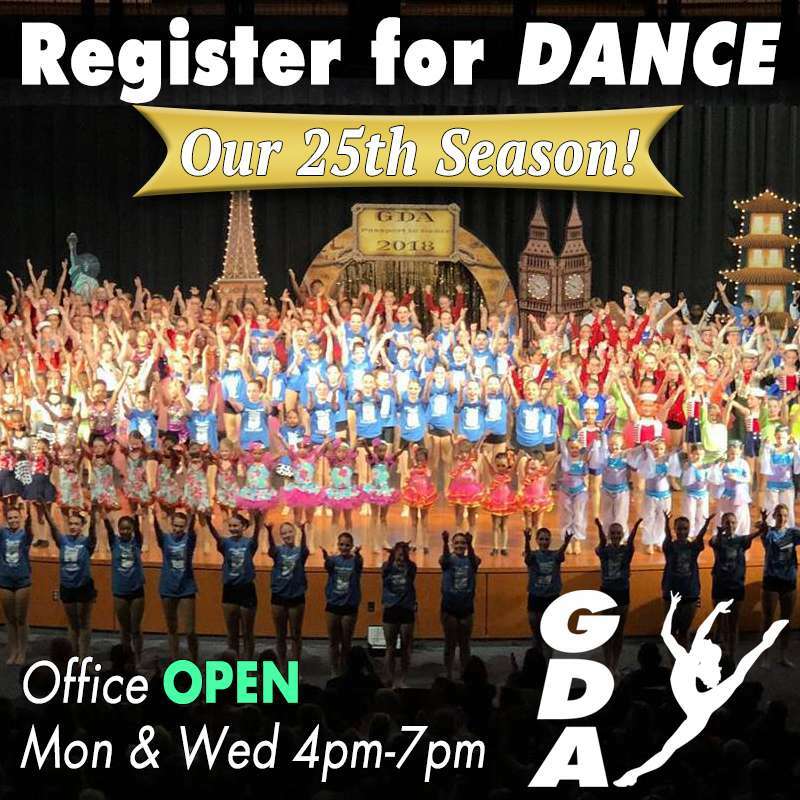 GDA Families receive a discount at open house! Bring A Friend get rewarded! If you refer a friend to GDA and they dance register, you earn $$ off your tuition! See office for details. FYI- Toddler class has been moved to Tuesday mornings at 11am.